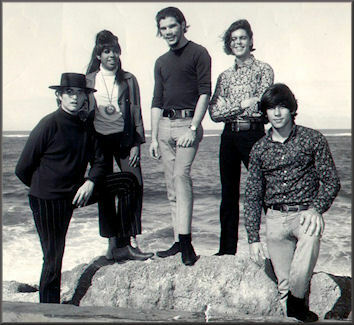 Starting at the age of 15 I joined a series of Rock bands in Puerto Rico such as The We Know You, The Challengers, Los We, The Undertakers, and finally The Living End in 1965. The Living End started in 1964. 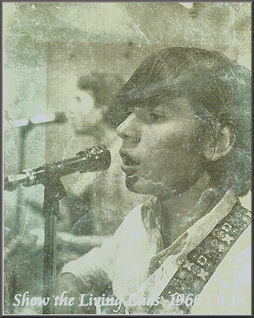 Formerly called The Voltures, they had gone to play in New York where they aquired a girl singer named Diana. She was Carli's girlfriend I believe, and she had recorded a previous single in N.Y. titled "We Want Short Shorts". They were gone for a year or so. I was playing at the time in a Bar named "La Cucaracha" in Old San Juan with a rock band from N.Y. 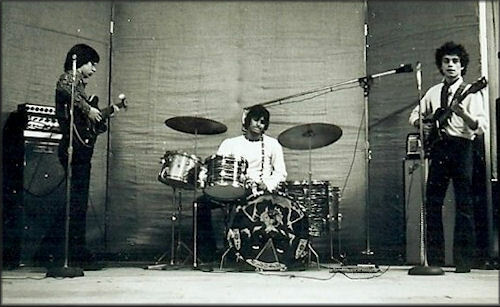 The Voltures original band were: Jorge Calderon-guitar, Carli Muñoz -organ, Amaury Lopez - drums, and Osvaldo Torres-bass. Osvaldo was the one to get me to play bass and taught me the first lines. I used to go to The Voltures parties and carry their equipment as a roadie to watch them play. When they decided to go to N.Y., Osvaldo remained in P.R. because of college. One night I was playing at La Cucaracha and Jorge, Amaury and Carli walked in and watched me play. After the set was done they approached me and proposed the idea of starting The Living End… I said yes immediately! Two weeks later we started at a brand new club in Old San Juan that was to be "The Scene" disco as a pilot test idea. The first week after opening, the lines to come into the club rounded the block and the rest was history! A few months later Diana left the group. We continued without a lead singer, then one night Tessie walked into the club. She sang 1 song and that was it!, pure magic came about. She stayed in the group and we started focusing on playing more R&B which is what thrusted us sky high and set us apart from the rest to become a #1 band in P.R.